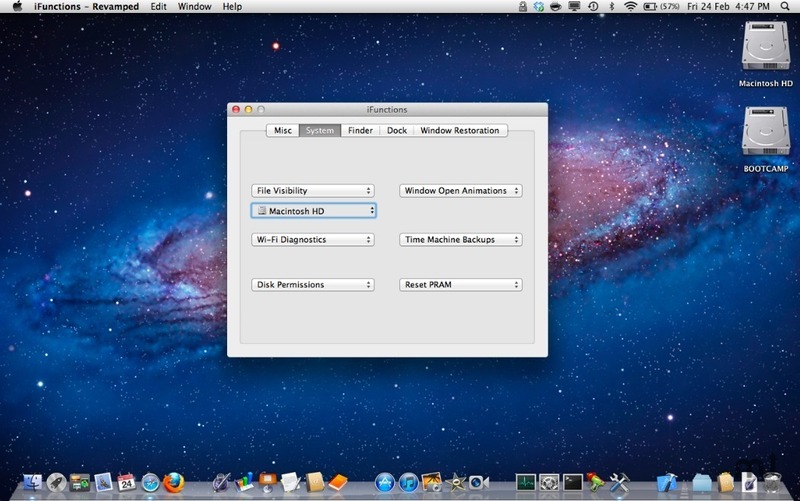 Advanced customization for Mac OS X. Is there a better alternative to iFunctions Revamped? Is iFunctions Revamped really the best app in System category? Will iFunctions Revamped work good on macOS 10.13.4? "Dock Spacer" Bug Now Fixed! Create a "Recent App Stack"